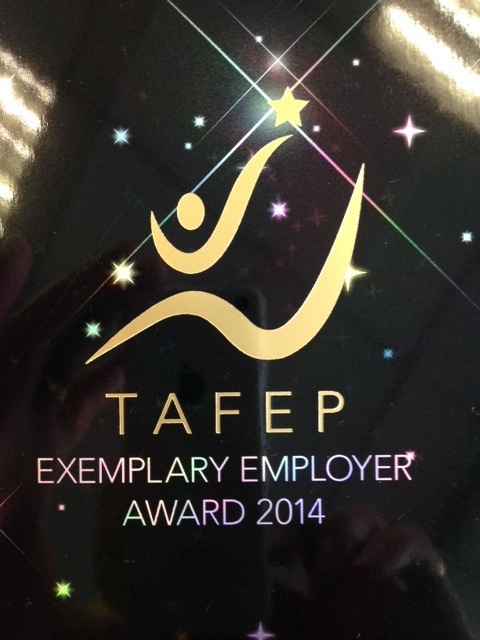 TAFEP stands for the Tripartite Alliance for Fair and Progressive Employment Practices. 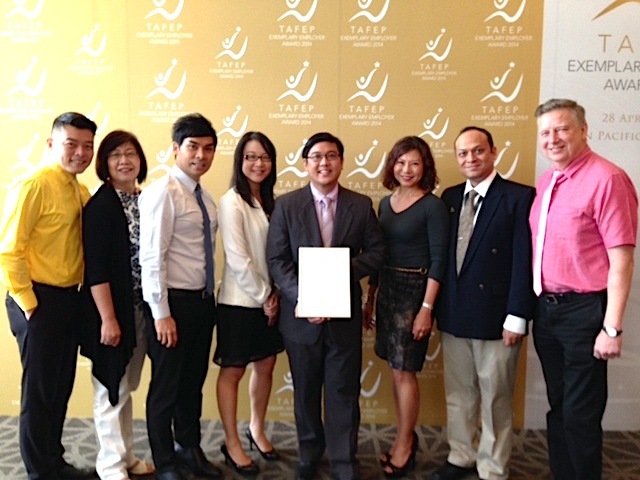 Since its inception, fair and inclusive employment practices are progressively understood and implemented in an increasing number of organizations and as such, paved the way to motivate and inspire employers to create fair and inclusive workplaces to make Singapore a better place to work. The TAFEP Exemplary Employer Award is a nationwide endorsement of outstanding organizations that have contributed towards the fair employment journey. 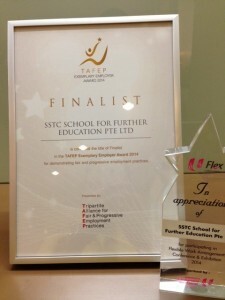 SSTC School for Further Education is proud to be amongst the 30 finalists for this year’s TAFEP Exemplary Employer Awards in showing commitment to having fair and inclusive employment practices through many commendable initiatives. Held on Monday, 28 April 2014 at the Pan Pacific Singapore Pacific Ballroom, the awards ceremony was graced by Singapore’s Acting Minister for Manpower, Mr Tan Chuan-Jin and attended by over 30 companies who were up for the awards. 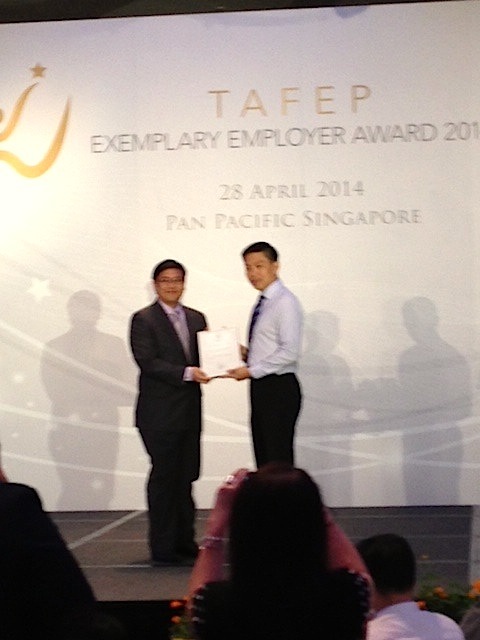 SSTC’s Chief Operations Manager, Mr Wayne Ho, represented us in receiving the prize of recognition for being a finalist in this year’s TAFEP Exemplary Employer Awards. 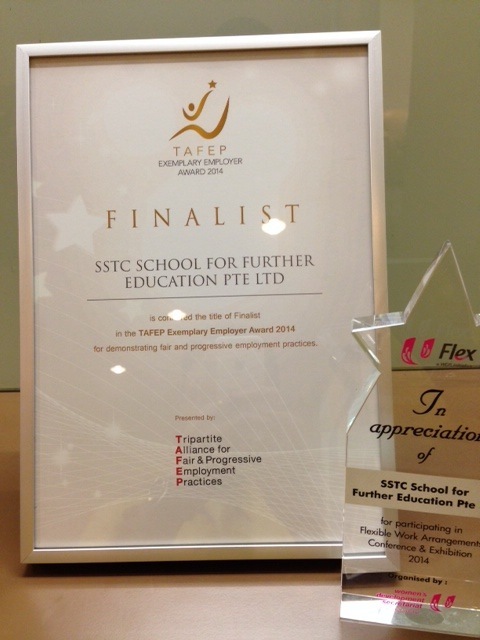 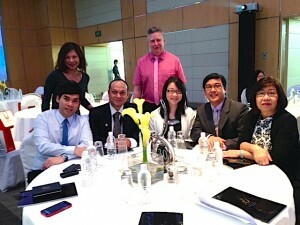 Congratulations SSTC School for Further Education!